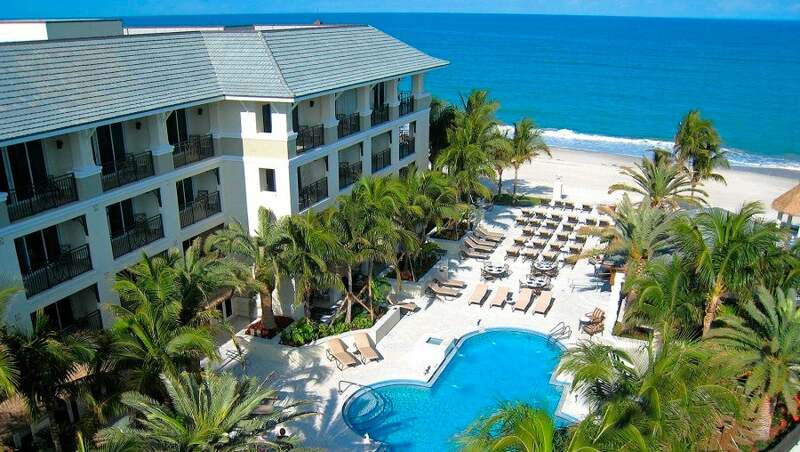 Last May, TPG Senior Points & Miles Correspondent Nick Ewen and his family stayed at the Vero Beach Hotel & Spa in Vero Beach, Florida, where he utilized a status match in Kimpton loyalty program and was granted top-tier Inner Circle status. He had a phenomenal experience, prompting him to give Kimpton Karma Rewards a closer look — and book this second stay at the property. 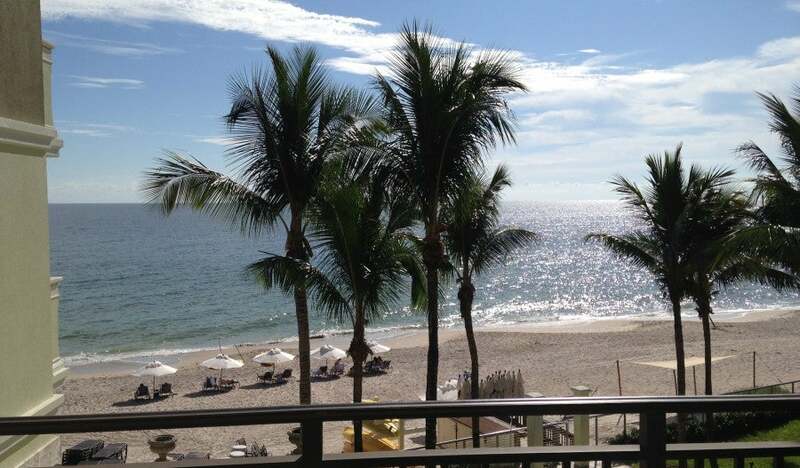 After a terrific first stay at the Vero Beach Hotel & Spa, would this one live up to our high expectations? 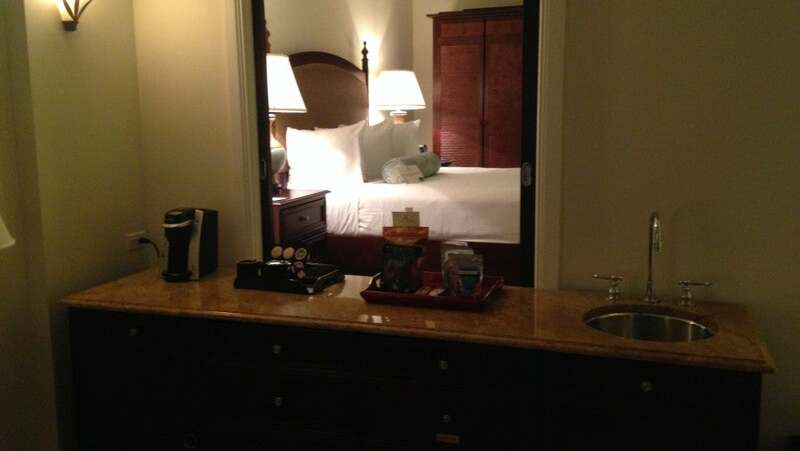 We initially booked a Deluxe King Room at a rate of $179.25 per night, but about a month before our arrival, I noticed that rates had dropped even further, so I rebooked us into a Studio King Suite using the “Upgrades, Breakfast OR Cocktails for $5” rate of $172.20 per night. This would give us a space available upgrade upon arrival and the choice of two continental breakfasts or two cocktails for each night of our stay. Sold! Finally, just two weeks before our check-in date, I got a call from my brother and sister in New York — they were now planning on coming down for the weekend to see us and their niece. Following Jason Steele’s sage advice, I politely emailed the concierge to see if there was any possible way to be upgraded to a two-bedroom suite; she responded within a few days, recognized my Karma Rewards Inner Circle status, and informed me that they did have availability and that she’d go ahead and upgrade us to a two-bedroom suite. Score! The hotel is located right on the shore on the north end of Ocean Drive, a perfect location for exploring the boutiques and galleries of Vero Beach’s main thoroughfare. There are also several restaurants and cafes within walking distance; my personal favorite is Casey’s Place, a no-frills walk-up window with terrific burgers and hot dogs and plenty of outside seating. The tropical entrance to the Vero Beach Hotel & Spa (as seen on a day without pouring rain!). We arrived at the 113-room property around 6:30pm in an absolute downpour, much the same way we arrived at the St. Regis Bal Harbour last fall. The hotel’s main entrance (and valet stand) is quite small, and only two cars fit under the awning at a time. Given the rush of people trying to leave the hotel to make their dinner reservations and the arrival of new guests to check-in, we wound up sitting for roughly 10 minutes until it was our turn to pull under the mercifully dry port-cochere. Unfortunately, the valet attendants remained busy parking and retrieving other cars, so we had to fend for our own luggage. I’ve quickly learned that traveling with a baby means a ton of extra stuff, and when you add a dog to the equation, unloading a car becomes quite a chore; by the time we loaded our items onto a cart, wrangled our daughter, Evy, and dog, Winston, and managed to get inside, we were more than ready to get to our room. All Kimpton Karma Rewards members enjoy free Wi-Fi and a $10 Raid the Bar credit on all stays. I chose to pay for the stay with my brand-new Citi Prestige Card in an effort to hit the minimum spending requirement and earn the sign-up bonus (currently 50,000 bonus ThankYou points after $3,000 in purchases made with your card in the first three months the account is open). I also would earn 3x points on this travel purchase, but since our stay was only three nights, I couldn’t use the card’s fourth night free benefit. Brandon issued the keys for our fourth-floor suite, and just as we started to take our stuff, a bellman came over to assist us. Nice. Winston is already right at home. Our first assigned suite was Room 414, and its unusual floor plan made it seem much more cramped than its actual size (at least 745 square feet) would have indicated. 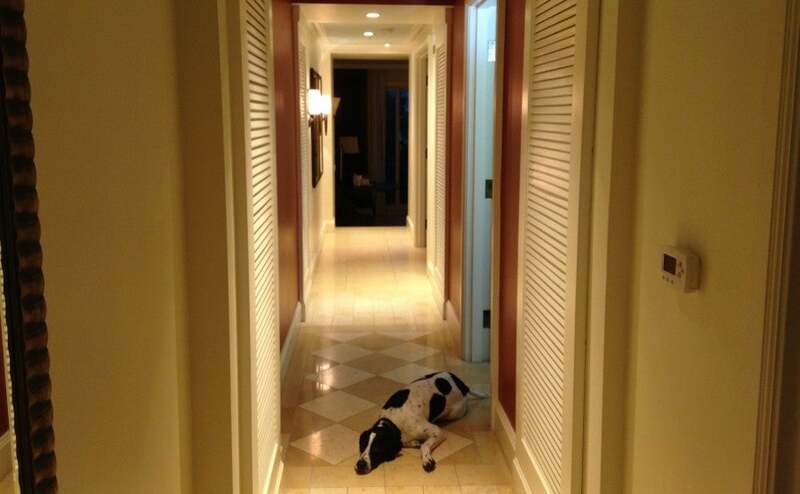 The front door opened into a long hallway that led down to a sunken living room. Off the hallway on the right were the two bedrooms (both of which had king sized beds) and a relatively large bathroom between them. Both bedrooms had very little space to maneuver, though the one further from the entrance felt more spacious as a result of the pocket doors that slid open to reveal the living room and wet bar. Though officially billed as a Garden/Terrace View room, we did have a partial view of the Atlantic Ocean and enjoyed a fantastic lightning display outside the sliding glass doors upon arrival. 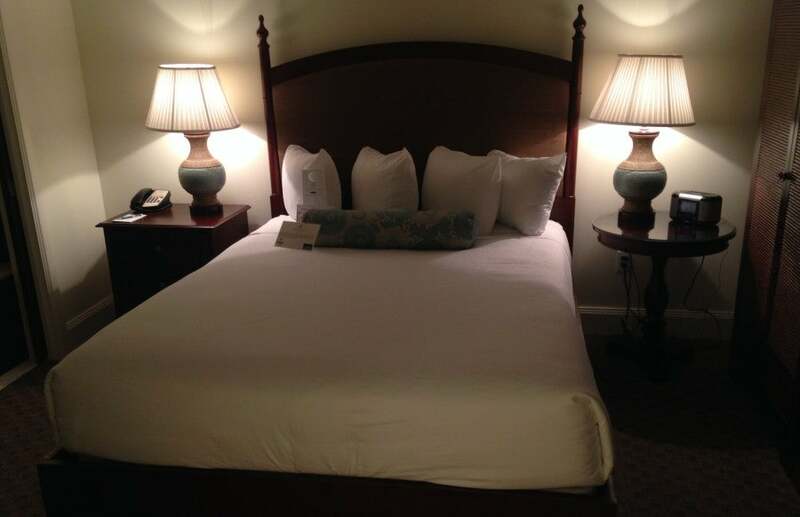 The room was also tastefully appointed with a blend of light wall colors and cushions, dark mahogany wood furniture and colorful accent pillows and wall decor that evoked Florida’s laid-back elegance. 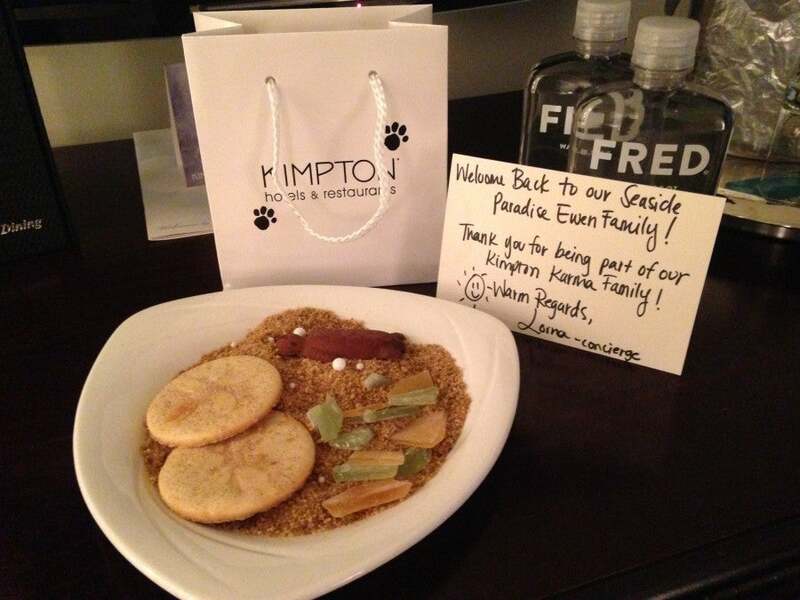 There was also a small welcome gift waiting for us in the room, consisting of two bottles of water, a pair of cookies and a bag of dog treats and waste bags for Winston. Evy quickly found the stairs to the living room! We quickly realized the marble steps leading to the sunken living room were (naturally) immediately appealing to our crawling baby, and within a few minutes of finding them, she had already slipped and face-planted once. We were hoping to avoid her first trip to the emergency room during our stay, as well as provide a bit more room for my brother and sister, who would arrive the following day. 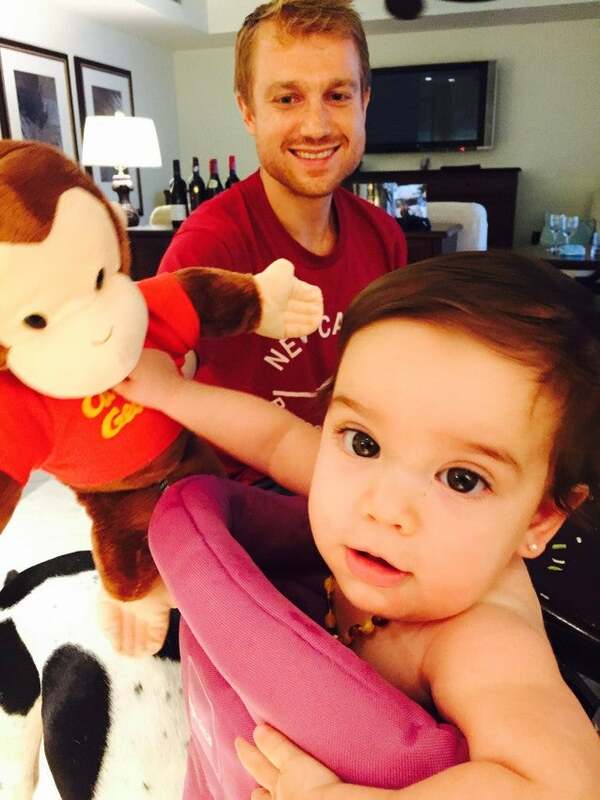 My brother, Evy and Curious George had plenty of room to play. We called downstairs to Brandon at the front desk, and though the hotel was completely full that first night, he graciously offered to move us to a much larger two-bedroom oceanfront suite for the last two nights of our stay. Suite 306 wound up being a gorgeous room with much more space to spread out with four adults, a baby and a dog. The door opened into a spacious living room complete with a four-top dining room table and plenty of seating for everyone to relax. Suite 306 also provided stunning views of the ocean from the large patio. My siblings enjoyed their own bedroom and bathroom, while the spacious master suite included double sinks, a walk-in shower and a large soaking tub that was perfect for bathing Evy. The property truly is a full-service, luxury hotel. The $24 daily resort fee covers valet parking along with beach chairs and umbrellas, while the cozy lobby provides coffee and tea in the morning and (like most Kimpton properties) hosts a complimentary happy hour from 5-6pm every day. During our stay, guests could choose from red or white wine as well as sangria, and each evening there was a different canape on which to snack (like smoked salmon bruschetta or tomato and bacon flatbread). 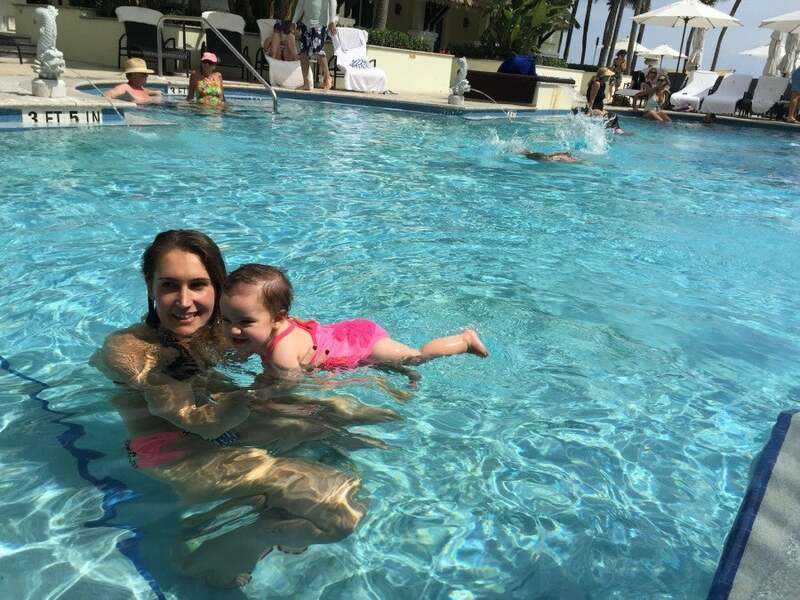 My sister and Evy could’ve spent all day in and around the pool! We visited the beach for Evy’s first dip into the ocean (she wasn’t a fan) but wound up spending a large chunk of the day by the sparkling pool. Despite a full house, we didn’t have any problem securing four chaises next to each other, and the wait staff from the poolside Heaton’s Reef Bar & Grill kept us hydrated with $5 Bloody Marys (Sunday’s drink special) and full with lunch items like conch fritters with cajun remoulade and a turkey wrap with cheddar, arugula, tomatoes and avocado aioli. Our continental breakfast was served in the hotel’s main restaurant, Cobalt, which is also open for lunch and dinner (and happens to be on OpenTable, as well). Our voucher gave us coffee or tea, juice, a pastry (choice of toast, muffin, croissant or bagel) and a side of fruit. 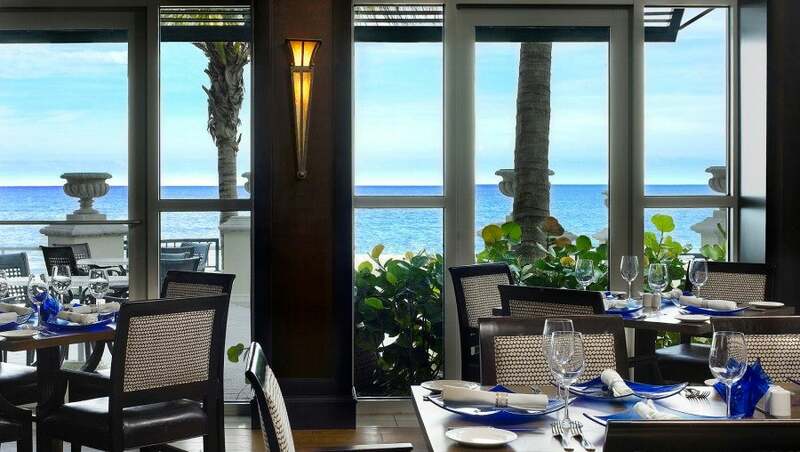 We chose to sit inside each morning, but saw many other patrons dining al fresco, just steps from the beach and the lapping waves of the Atlantic Ocean. My wife also visited the on-property White Orchid Spa for a facial and massage, though our attempt to relax on the trip prevented us from checking out the 24/7 fitness center. For the most part, everyone we encountered throughout our stay did a great job at making us feel welcome. Our server by the pool was very attentive and helped us quickly pack up our food and drinks when a sudden thunderstorm came through, and Brandon at the front desk was very gracious in allowing us to move to a different room for the last two nights. However, I did feel that the service slipped a bit from the last stay. It really began with the arrival experience. I understand that the torrential rainstorm was wreaking havoc on the valet attendants, but we wound up unloading the vast majority of our stuff by ourselves. When no one was there to help us after checking in, we started taking the luggage cart ourselves only to have a bell attendant come running up to reprimand us for trying to do it ourselves, indicating that guests weren’t allowed to take the carts without the assistance of a bellman. That’s all well and good, but when no one is around to help, what’s a guy to do? It took a while, but Winston eventually received his bed. 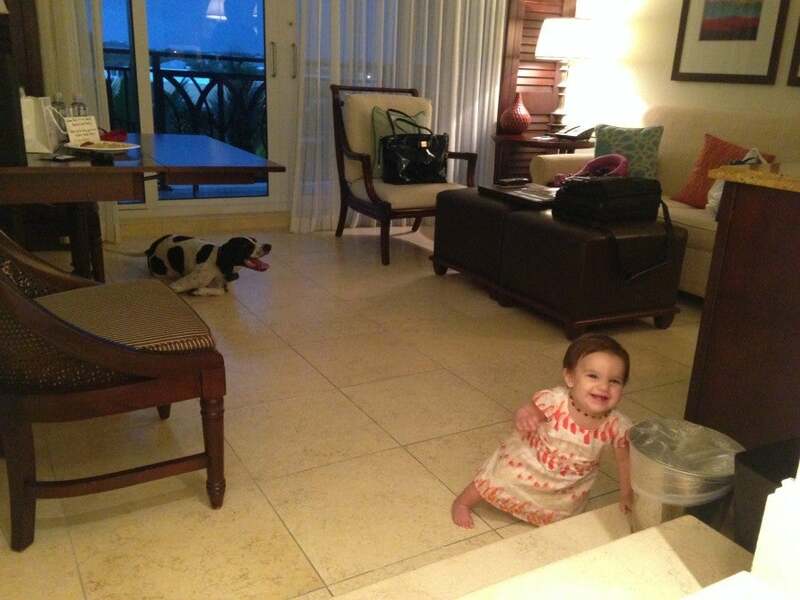 The other slip-up involved the in-room amenities for my daughter and dog. 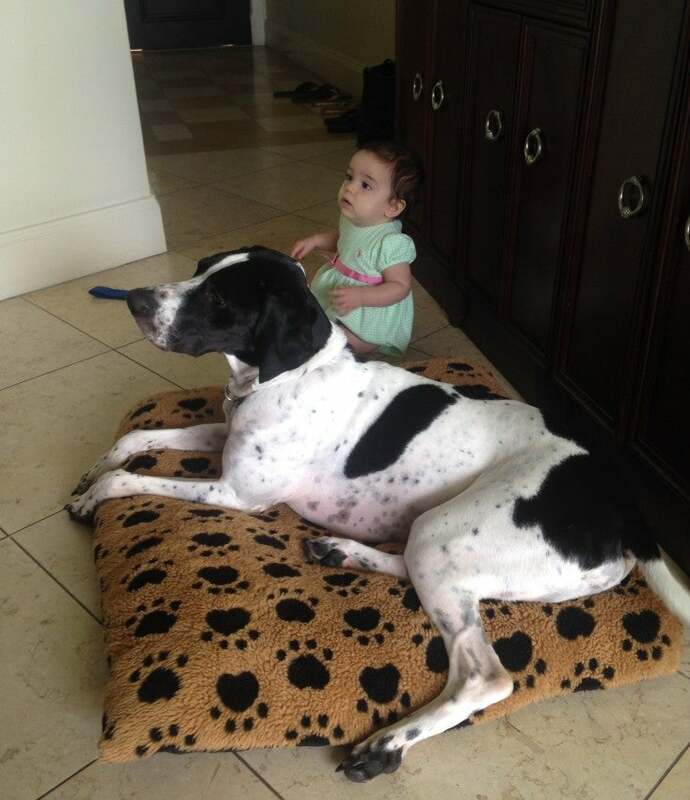 On our reservation, we had requested a crib for Evy and a dog bed for Winston. At check-in, Brandon indicated that they should be in the room but to call down if they were not. Sure enough, the room was empty when we walked in. We had to call down twice before Brandon himself brought them up to us, two hours after checking in. Finally, the in-room welcome amenity was a big downgrade from the last time. When we arrived for our first stay, we found a chilled bottle of Prosecco; two bottles of water; a large cheese, cracker and fruit platter; a bucket of beach toys for Evy; and a bag for Winston with biscuits and a toy. This time around, we received only two cookies and two bottles of water. I fully recognize that these are very minor issues in the grand scheme of things, but it still made this stay feel slightly less perfect than our previous one. I guess when you set the bar that high, the only direction you can go is down! How could you not want to go back to a place like this? While our second trip to the hotel wasn’t quite as perfect as the first one, it still was a terrific little getaway and a great opportunity for some quality family time. The property is stunningly beautiful, with a wide range of amenities to please guests of all ages — we’ll definitely be back. Both of my stays at this hotel have given me a very positive view of Kimpton, and even though I won’t have enough stays to keep my Inner Circle status past December 31, 2015, I still find the Karma Rewards program quite intriguing — even basic (Tier 1) members enjoy some nice perks. Here’s hoping that the Kimpton portfolio retains its boutique characteristics as it completes the merger with IHG!